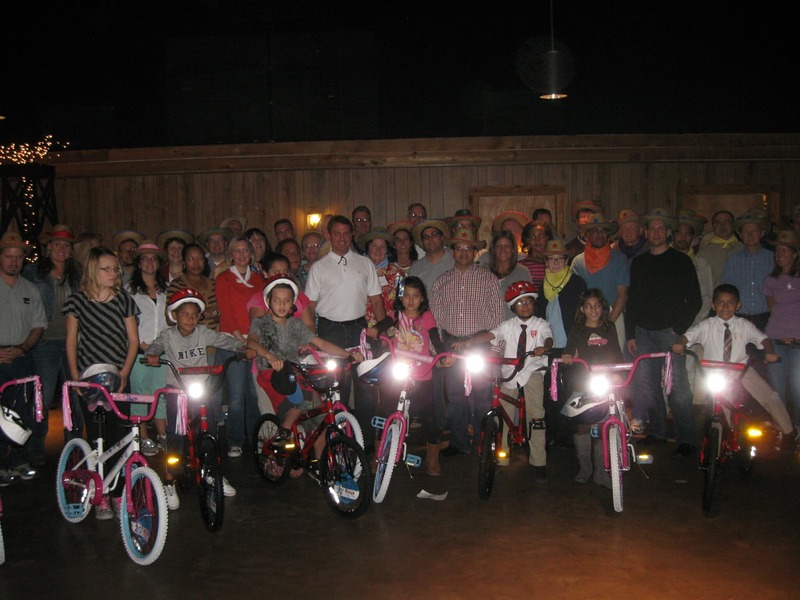 On October 22, 2013 VCE came together in Grapevine, TX at The Austin Ranch of Hilton DFW Lakes to host the Build-A-Bike ® team building exercise for their engineers. VCE, the Virtual Computing Environment Company, is an American computer integration company. Massachusetts has a rich heritage of technology innovation, including from VCE’s parent companies, and VCE is building on that heritage with this center in Marlborough and its world-class capabilities and staff.” This group of sixty came from Marlborough, MA to experience some of the culture Texas has to offer and Austin Ranch was a great venue for this. VCE experienced a chuck wagon buffet and cowboy Carl and his cow hands perform rope tricks and the evening was topped off with a campfire outdoors. Build-A-Bike uses a series of challenges and activities to encourage team building and from the beginning this group was very competitive. The Build-A-Bike is meant to be something of a caricature of behavior we can see in the workplace, the participants have a good time poking fun at themselves and each other, with a mixture of New England Patriot fans and New York Giant fans it was funny to watch as they move through the exercises together. The group had been in meetings so they were ready to have some fun. Beverley and Dan were the contact for this and they assisted along with three other participants to be judges in the series of activities. The goal of the event was to have everyone walk away with a fulfilling experience that was fun and unexpected and for the group to get a true sense of “team”. The activities in the Build-A- Bike program are designed so that the participants learn team building in an experiential way. They are broken into teams and are given tasks that cement their team identity, only to discover that ultimately they have to go beyond what they think is their team to accomplish their goals. Not only are the teams more effective when they work together but they are happier because of the sense of camaraderie. By the end of the event, they saw that sharing information and working through problems with communication is the path to everyone winning. 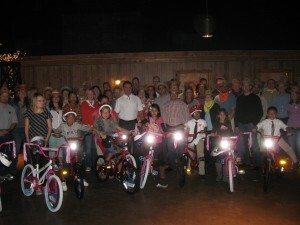 The charity to accept the bikes was the YMCA of Irving a suburb of Dallas. The kids arrived without the group realizing it and cheers were heard as the kids ran in to accept these bikes from VCE.